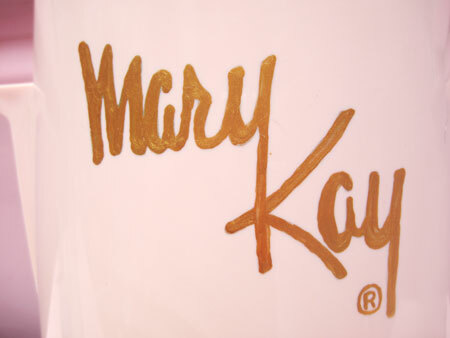 Hooray for vintage Mary Kay anything! 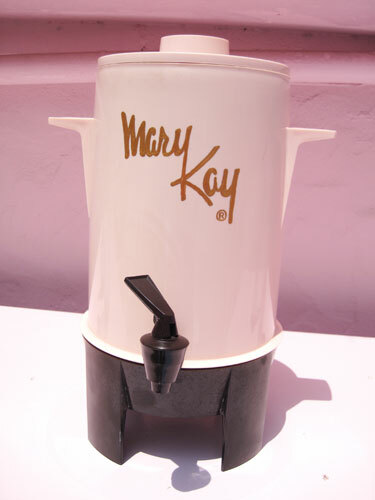 I serve Kool Aid out of this coffee urn, made by the appropriately named Poly Perk, at my all parties. Mary Kay and Brownie Wise, who invented the concept of Tupperware parties in 1950 and was the first woman to appear on the cover of Business Week, are two of my biggest entrepreneurial idols. I’m brewing coffee in the pink percolator as we speak and will toast finishing another Kitsch O’ The Day as soon as it’s ready. An owner before me painted over the lettering that was probably dulled from years of Windex and Amway products. Usually I don’t approve of such restoration but the paint is very lumpy and sparkly and adds more of that Mary Kay flair.